I have one of these gun sights. 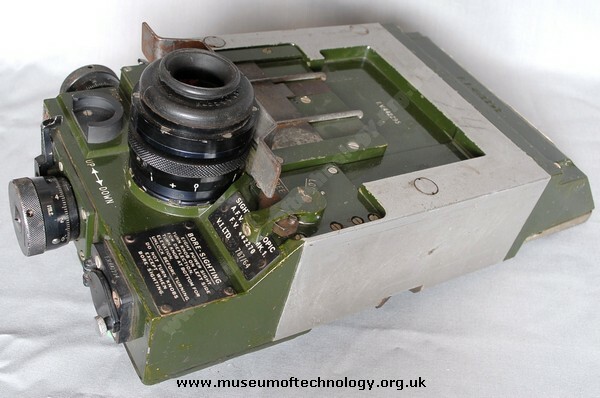 It is from a Chieftain tank and has a range clock for the 120mm gun, plus the co-axial machine gun which had the same "fall of shot" characteristics as the main gun. This meant that if you fired at the target with the machine gun using the appropriate range clock built into the sight (the bullets hitting the target) then the main gun could be fired and the 120mm round would have the identical flight pattern as the machine gun rounds, so hitting the target, hopefully first time.